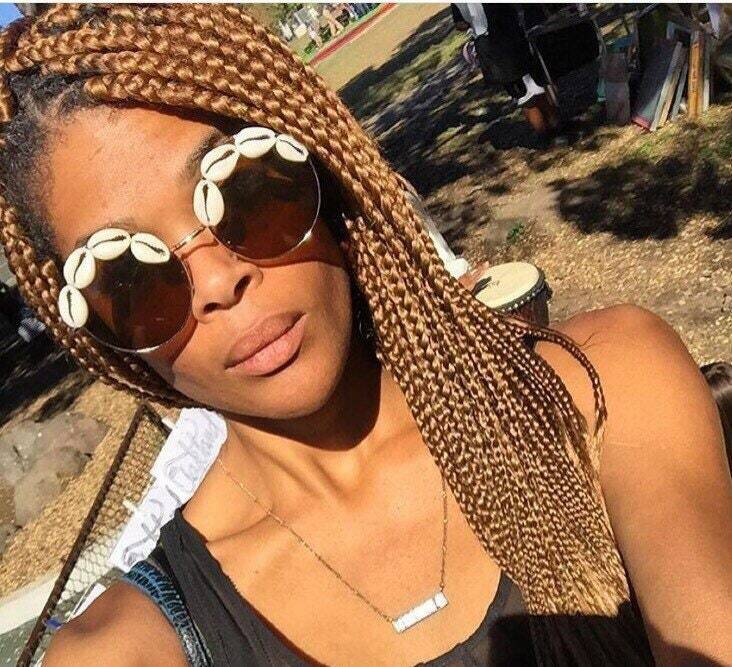 Cowry shells along the top frame of medium size circular sunglasses. 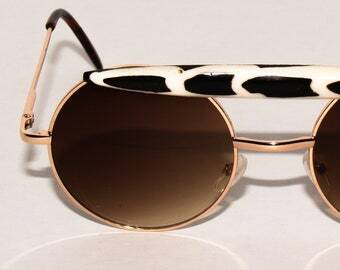 I like the glasses and will wear them at afropunk this year in NY. They came in a nice case so that was a nice surprise. It took a while for the item to ship but once it did I received them in a timely manner.